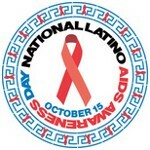 National Latino AIDS Awareness Day (or El Dia Nacional de Concientizacion Latina del SIDA in Spanish) was created by the Latino Commission on AIDS and the Hispanic Federation in 2003. The main objective of this observance is to raise public awareness of the HIV epidemics in the Hispanic/Latino community in the USA. The observance is coordinated by the National Planning Committee that supplies all organizations that organize events with useful kits, materials, and advice. Every local organization is responsible for its own events and activities that are tailored to the particular needs of the community. Local events and activities may vary from celebrations and cultural events to attempts to educate the community leaders and public officials about the importance of preventive activities and testing.